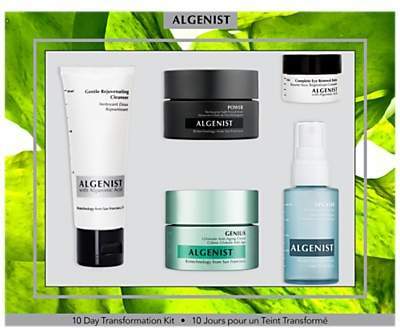 The 10 Day Transformation Kit showcases our powerful anti-ageing regimen to deliver visible skin transformation in 10 days. Featuring products formulated with Alguronic Acid, a patented, breakthrough anti-ageing ingredient, this set helps minimise the appearance of fine lines and wrinkles and visibly restores firmness and elasticity for a complexion that looks radiantly smooth and nourished. 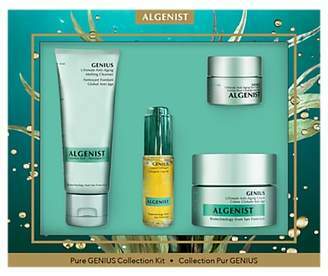 Set contains: Gentle Rejuvenating Cleanser, 45ml Power Recharging Night Pressed Serum, 30ml Complete Eye Renewal Balm, 7ml Genius Ultimate Anti-Ageing Cream, 30ml Splash Hydrating Setting Mist, 40ml Benefits: Skin appears nourished and radiance boosted Provides long lasting skin moisturisation and replenishes dehydrated skin Diminishes dullness for a glowing complexion Energises fatigued skin How to use: First, massage Gentle Rejuvenating Cleanser onto moist skin, lather and rinse off. 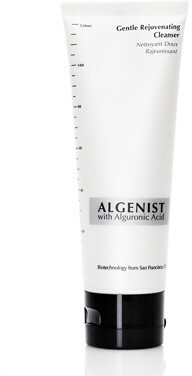 After cleansing, apply Power Recharging Night Pressed Serum onto entire face, neck and décolleté, avoiding the eye area. Follow with Complete Eye Renewal Balm around the eyes, in a gentle patting motion. Apply Genius Ultimate Anti-Ageing Cream to the entire face, neck, and décolleté. After makeup application, hold Splash Hydrating Setting Mist bottle six to eight inches from face, close eyes, and mist evenly. Reapply as desired.